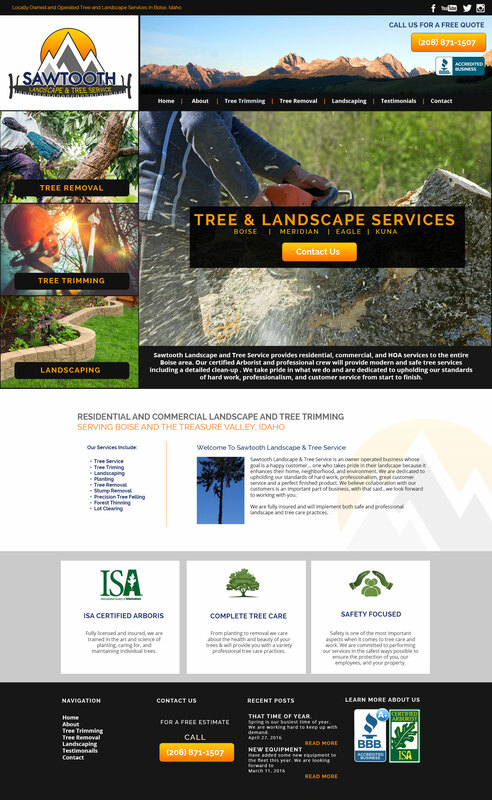 Sawtooth Landscape & Tree Service is an owner operated business whose goal is a happy customer… one who takes pride in their landscape because it enhances their home, neighborhood, and environment. We are dedicated to upholding our standards of hard work, professionalism, great customer service and a perfect finished product. We believe collaboration with our customers is an important part of business, with that said…we look forward to working with you. We are fully insured and will implement both safe and professional landscape and tree care practices.